Cyclocross is all about high intensity. This all new Speedwear Concept CX Suit is the right tool for the job, for 3 reasons. First of all, it’s aerodynamic. The suit shares patterns with our latest World Championship winning kit. This means it’s aerodynamically tuned to be lightning fast in the fast parts of the track. Next to that, it’s entirely made of Aquaracer fabric. This multidimensionally elastic fabric is naturally stretched in every direction. This ensures a maximum freedom of movement. Aquaracer offers maximum breathability, yet allows water and air to slide off without penetrating the fibers, thanks to a hydrophylic treatment on the inside and a water repellent treatment on the outside. This means you stay dry even in the rainiest days. 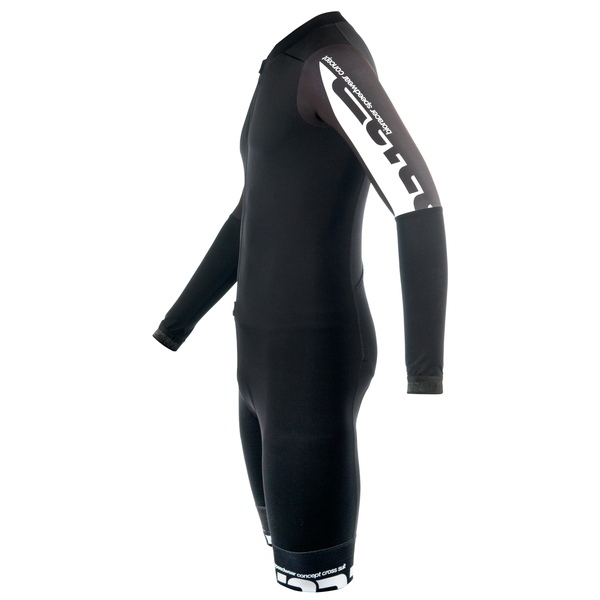 It also reduces chances of hypothermia by reducing the wind chill factor.